IEEE BMSB 2018 will feature a wide technical and industry program covering the latest research and innovation in multimedia systems and broadcasting. The conference will include several workshops focusing on the upcoming 5G technology. IEEE BMSB 2018 will organize a main 5G workshop approaching the last innovations and research activities in 5G-PPP. 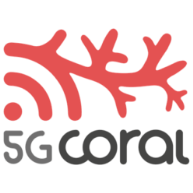 Moreover, the conference will hold specific workshops organized by several 5G-PPP phase-2 projects: 5G-Xcast, IoRL, 5G-Transformer, 5G-CORAL, 5G-Ex, Bluespace, NGPaaS, 5G-MEDIA and 5GCAR. The 5G Infrastructure Public Private Partnership (5G-PPP) is a joint initiative between the European ICT industry and the European Commission to rethink the infrastructure and to create the next generation of communication networks and services that will provide ubiquitous super-fast connectivity and seamless service delivery in all circumstances. 5G-PPP is committed to the advancement of 5G in Europe and to build global consensus on 5G. The 5G-PPP initiative will reinforce the European industry to successfully compete on global markets and open new innovation opportunities. The key challenges are to provide 1000 times higher wireless area capacity and more varied service capabilities compared to 2010; save up to 90% of energy per service provided; reduce the average service creation time cycle from 90 hours to 90 minutes; create a secure, reliable and dependable Internet; or facilitate very dense deployments of wireless communication links to connect over 7 trillion wireless devices serving over 7 billion people. 5G-PPP is currently in the second phase of a total of 3 phases. Phase-2 comprehends 21 new projects and 2 complementary projects dealing with international relations on aspects of 5G. Phase-2 projects are carrying out a wide-range of activities in key strategic areas including theoretical research studies and the development of proof-of-concept (PoC) prototypes, test-beds and demonstrators. •	5G New Radio: novel techniques in modulation, coding and waveform. •	Beamforming and massive MIMO. •	5G Radio Access Network design. •	5G Core Network design. •	Network Slicing for dynamically adaptable 5G networks. •	Proof-of-concepts, prototypes and demonstrations for 5G. •	Technology advancements for specific verticals such as M&E, IoT or automotive. Point-to-multipoint (PTM) will be demonstrated in 5G-Xcast thanks to a conceptually novel and forward-looking 5G network architecture for large scale immersive media delivery. PTM appears as part of the 5G vision of many stakeholders, including the 5G-PPP. 3GPP decided to prioritize the work in other areas for 5G Release (Rel)’15 and hence PTM is expected to be addressed from Rel’16. This creates an opportunity to develop novel solutions and contribute to the standardization work, by providing not only theoretical studies but also proof-of-concepts and demonstrators to experimentally test the proposed technologies over fixed, mobile and broadcast networks. 5G-Xcast is developing PTM capabilities for 5G considering automotive, Internet-of-Things (IoT), Media & Entertainment (M&E) and Public Warning Systems (PWS) use cases. The objective is to design a dynamically adaptable 5G network architecture with layer independent network interfaces capable of dynamically and seamlessly switching between unicast, multicast and broadcast modes or use them in parallel and exploiting built-in caching capabilities. The project will experimentally demonstrate the 5G key innovations developed in the project for the M&E and PWS verticals. • 5G Radio Access Network design for point to multipoint transmissions. • 5G Core Network Design for broadcast technologies. • Seamless convergence of fixed, mobile and broadcast networks. • Evolved Multimedia Broadcast Multicast Service (eMBMS) and 5G New Radio. • Novel techniques in modulation, coding and waveform. • Technology prototypes and demonstrations for broadcast in 5G. • Advanced techniques for other digital terrestrial systems: DVB, DVB-WIB or ATSC 3.0. Wireless networks in buildings suffer from congestion, interference, security and safety concerns, restricted propagation and poor in-door location accuracy. The Internet of Radio-Light (IoRL) project develops a safer, more secure, customizable and intelligent building network that reliably delivers increased throughput (greater than 10Gbps) from access points pervasively located within buildings, whilst minimizing interference and harmful EM exposure, providing location accuracy of less than 10cm. Building landlords will be incentivized to find funding to realize this solution for their properties to increase their value resulting in a stimulated market for broadband networking products in buildings, benefiting society and stimulating the world Gross Domestic Product. IoRL project provides solutions to the two main barriers to develop this broadband networking solution in buildings. It will also develop a proof of concept demonstrator, which will act as the basis for standardization of a global solution. • Broadband communication solutions for buildings. • Integration of IoRL technologies. • The broadband capacities of mmWave. • VLC technologies and the flexibility of SDN/NFV. • Proof-of-concept and demonstration on radio-light. 5G is being defined as the communications and IT substrate on top of which all sorts of diverse services will be offered, co-existing isolated and independently of each other. The 5G network will have to support the requirements of vertical industries in addition to more conventional M(V)NO deployments. At the infrastructure level, two trends rule its design and deployment: an increasing technical and cost pressure leading to infrastructure sharing, and the variety of scenarios that in general entail heterogeneity of technologies not necessarily belonging to the same administrative domain. Clouds, Edge and Fog are emerging as key locations in 5G networks, where much of the network intelligence and service innovation could be envisioned. Building such end-to-end slices in a multi-party multi-domain multi-technology framework considering also the Edge, Fog and Cloud domains poses several challenges that must be appropriately handled. These challenges are currently being addressed in several research projects such as 5G-Transformer, 5G-Ex and 5G-CORAL. This workshop expects to become a meeting point between industry and academia to discuss about the present and future of network slicing control and management of systems including the new definition of Edge in 5G networks. This will be the second edition of the workshop. • Multi-domain service and resource orchestration. • Business mechanisms and economic framework for network slicing. • Multi-access Edge Computing (MEC). • Protocol and API developments for network slicing. • Security threats and control mechanisms in network slicing. • Policy enforcement on sliced infrastructures. • Novel designs for Edge, Fog and Cloud integrated systems including orchestration and control. The 5G infrastructure will enable a large number of new applications and services. In turn, the specification for the 5G infrastructure is driven by the demands of end-users and new emerging applications. In this sense, the core concept of the Bluespace project is to exploit the added value of Spatial Division Multiplexing (SDM) in the Radio Access Network (RAN) with efficient optical beamforming interface for the pragmatic Ka-band wireless transmission band. The main objective targeted by the project is to develop a truly viable and efficient path for 5G wireless communications with a 1000-fold increase in capacity, connectivity for over 1 billion users, strict latency control, and network software programming. This workshop seeks to gather researchers and developers from new media and broadcasting services as well as other applications such as robotics among others with the developers of the 5G infrastructure. The aim is to align the requirements and technical developments from both sides of infrastructure and service delivery. • Requirements and Enablers from Broadcast/Multicast. • Spatial Division Multiplexing in the RAN. • Compact and reconfigurable infrastructures. • Network Function Virtualization (NFV) paradigms. • Passive Optical Networks (PONs). Transforming 5G network infrastructure, services, and operations to cloud-native refers to a distributed application designed, implemented, and operated using cloud computing principles, technologies, and architecture frameworks. When a distributed application is formed by a network of interoperating microservices, the architecture is called microservice-based. Providing flexibility, modularity, and evolution, microservices emphasize the design, the development, the loose coupling, and the high cohesion of the different parts, all allowing to make each stage of delivery pipeline automatic. The decentralization aspects of microservices and the high degrees of their independence represent a natural use case for acceleration techniques in microservices design as part of the delivery pipelines. The workshop will be a brainstorming on and an identification of emerging concepts, technologies, and tools for accelerating microservices for cloud-native 5G system. The aim is to bring together leading researchers in both academia and industry, and to provide a forum for researchers from diverse backgrounds to share their views on design and development of microservices-based cloud-native 5G system and applications, and to have an open dialogue on the delivery pipeline and its acceleration research. The goal is to identify key cloud-native enablers and technologies that can deliver significant performance, capacity, coverage, and user-experience improvements in future high performance microservice development and operational environments. • Cloud-native microservice architectures including RAN, CORE, xHaul, Applications. • Hardware acceleration and abstraction. • High performance development and operational environments with simplified and accelerated production. Research into 5G networks to date has been largely focused on the required advances in network architectures, technologies and infrastructures. Less effort has been put on the applications and services that will make use of and exploit advanced 5G flexible network capabilities relying on SDN/NFV concepts in the network core. Media applications are amongst the most demanding services within networks, requiring huge quantities of capacity for high audio-visual bandwidth, and requiring low latency and a good number of networks resources to run. New media applications can take advantage of these 5G flexible networks to provide a better quality of experience to the users or reduce the huge capacity requirements and costs as currently posed to nowadays networks. This workshop will present advances in 5G delivery networks for new media services, such as the use of SDN and NFV concepts to media applications to flexibly and dynamically embed them as virtual network functions, or other techniques applying flexible network models. Different applications can benefit from such models, e.g. teleimmersion, 3D gaming, UHD IPTV streaming, broadcast contribution and media enrichment. • Architectures for SDN/NFV to enhance media delivery towards 5G. • Applications using flexible networks in the media domain. • New media applications using flexible/ virtualized networks towards 5G. • New mechanism for media delivery in 5G which can benefit from flexible network models. • QoE / QoS approach in flexible network models. • Infrastructures proposal to run media experiments on 5G. 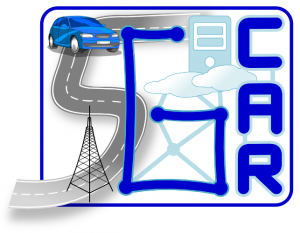 5GCAR is a 5G-PPP phase-2 project that is currently defining use cases, KPIs and requirements for future connected cars and performing evaluations and demonstrations on 5G V2X (Vehicle-to-Everything) technologies. The project will find and promote suitable end-to-end performance of the proposed system. The detailed use cases defined will span the relevant 5G V2X space by representing a much wider set of scenarios. 5GCAR is addressing three live demonstration use cases: lane merge, cooperative perception for manoeuvres of connected vehicles and vulnerable road user protection. This workshop, organized by the 5GCAR project consortium, is devoted to discuss the role of 5G technologies for the connected car. 5G technologies will enable vehicles to be connected to the networks and also to be able to talk to each other ensuring low reliability and ultra-low latency. Disruptive new applications enabled from improved connectivity will allow improving driving efficiency and boosting road safety. The session will be split into two parts. First, a series of talks will be provided based on the accepted papers. Then, an interactive panel discussion will follow. • Technical solutions for end-to-end V2X network connectivity. • Highly reliable and low-latency V2X services. • Interworking of multi-RAT protocols to embed existing communication solutions. • 5G radio-assisted positioning techniques. • Spectrum usage solutions and alternatives to support different V2X services. • Demonstration and validation of technologies proposed. • Evaluation of V2X in test environments.